...that Dark Ether is infused with Darkness? "Just think of them, Guardian. Howling and pressing against each other. Begging for the favor of being Taken." 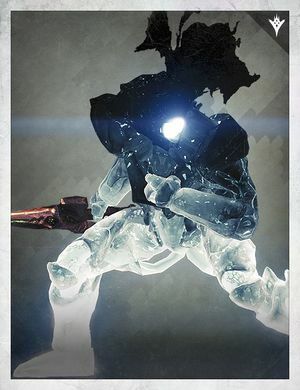 Stirok, Banner of Oryx is a Taken Knight encountered in the Rocketyard of the Cosmodrome during Taken Corruptions on Patrol. Stirok is one of three Taken Champions in the Cosmodrome that must be eliminated for the Taken War questline.